Sweet Sticks Make your bake sale fun with cake pops and other sweets on lollipop sticks. Brownie Bundles Bundle up cookies in bags of 2 to 4 and tie with a bow. You’ll earn more than individual cookie sales. Plus, the bundles make it so easy for moms to grab and go. Trail Mix Fund-raiser Set out bowls of granola, sunflower seeds, raisins, dried cherries, and chocolate chips and allow everyone to build their own customized trail mix by scooping into cute decorated cups. Then set up a scale at your sale to charge by the pound. Muffin Madness Having a breakfast bake sale? 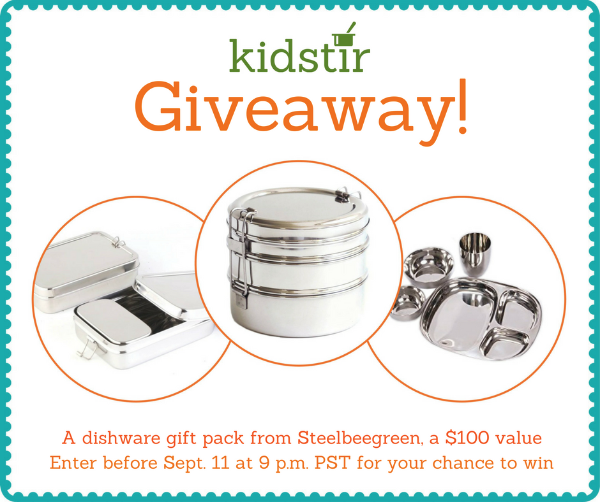 Serve up some of our Kidstir muffin recipes, such as Churros Muffins, Apple of My Eye Muffins, or the Quiche Cupcakes from the Kidstir Breakfast kit. Gluten-free Zone Dedicate an area of your bake sale reserved for customers with food allergies and sensitivities. 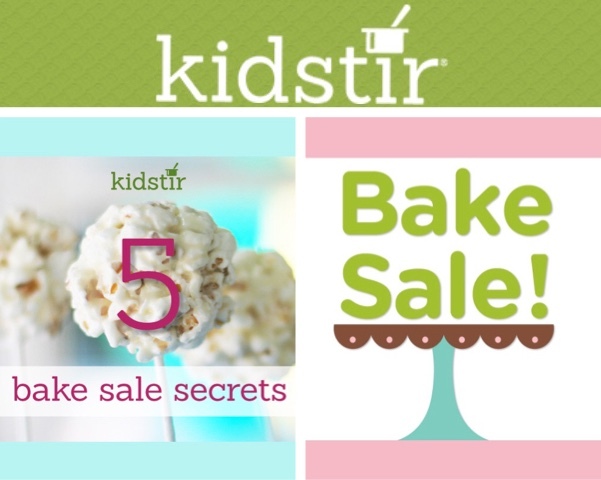 Watch how quickly gluten-free, dairy-free, or nut-free baked goods will sell out! Baking Kit Introduction for Bake Happy Kids who want full details. 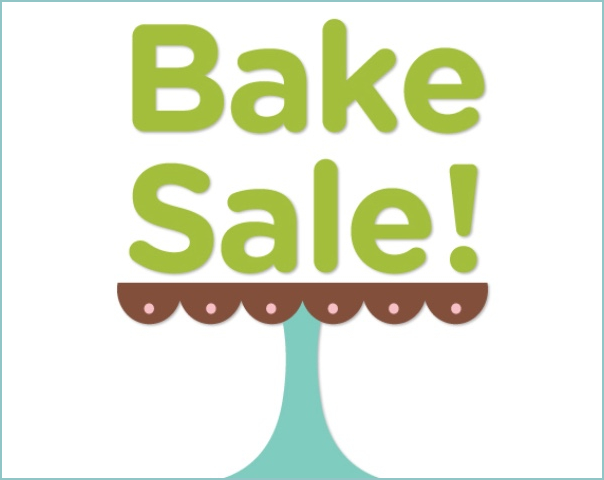 Spread the word about your bake sale with our colorful sign. Make as many copies as you like—and send it with your email announcement. Don’t forget to include the day and time of your sale. Happy baking! Previous post: Where Do Bananas Grow?